Book online Gúanica 1hr jetski rental. For 1 hr rental at parguera please call. 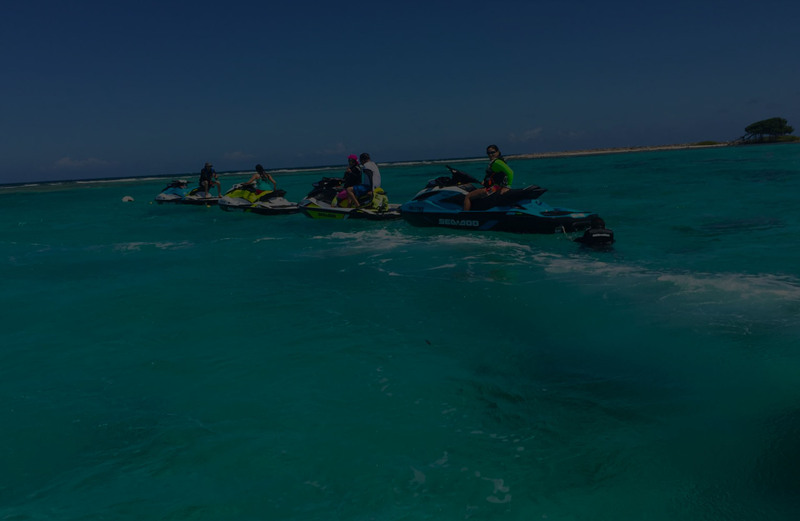 Eco Water Adventure offers jetski rental guided tours on the beautiful Southwestern coasts of Puerto Rico, like Guánica and Parguera, in a safe and friendly atmosphere, always taking care and protecting the habitat and nature. Come join us for an adventure! No hay nada mejor que aprovechar el turismo local y Eco Water Adventures ofrece una alternativa maravillosa. Fue una tremenda experiencia, no soy muy amante del mar pero en todo momento me senti seguro y se lo recomiendo a cualquiera!!! Eco Water Adventure offers guided jetski tours to locals and tourists. Our tours cover the Southwest coast of Puerto Rico in a secure and family oriented environment, above else protecting marine and habitat resources. Come join us for an adventure! 9:00 AM – 5:00 PM by reservation only. *For out of schedule tours please call us. 24 to 48 hrs minimum for reservations.